Neil Gaiman's Journal: "Bizarre, bonkers... rather brilliant"
Dominic Wells in The Times writes an article much like the one I did on comics and films, only much better, at http://www.timesonline.co.uk/article/0,,22872-2051239,00.html, and he reviews MirrorMask at http://www.timesonline.co.uk/article/0,,22872-2062264,00.html, while Wendy Ide reviews it for the Times at http://entertainment.timesonline.co.uk/article/0,,14931-2064442,00.html. The Daily Mail hated it, which made me oddly happy, particularly because the reviewer made a big point of it being a Waste of Lottery Money. That MirrorMask wasn't made with Lottery Money, of course, would never bother the Daily Mail, who were, the last time I looked at a copy, very concerned with people wasting lottery money and asylum seekers. I'm sure that it was only due to shortage of space that they didn't accuse MirrorMask of harbouring dodgy foreign asylum seekers. 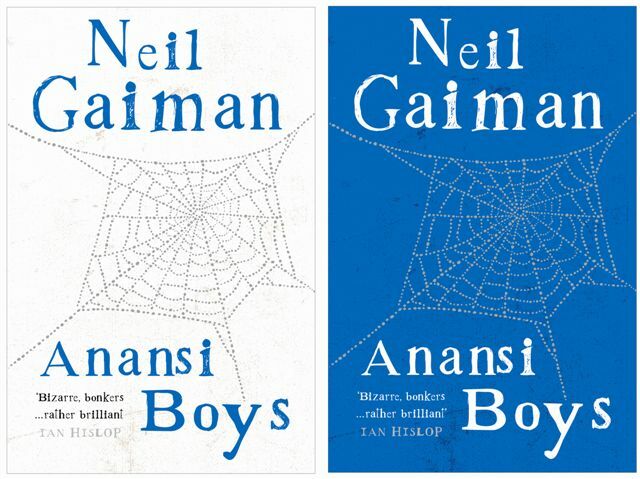 a) that it will come in two versions, the white and the blue, each with a silver spider's web on it. c) it will have a quote from Ian Hislop on the cover, which probably won't mean very much to non-Brits, but will mean a lot to readers of Private Eye or watchers of Have I Got New For You? and it won't be out from Headline for a few months.